From our vantage point, it looked as if Barack Obama had a nice, refreshing vacation from watching the free world crumble day by day, which is truly amazing for both him and Michelle Obama. But let’s focus on what’s important here: me. After a few months of inspiring me through photos alone, a well-rested Barack Obama will be back to the business of motivating people with his words, starting with a speech on Monday at the University of Chicago, where he used to teach. It’ll be his first public event since leaving office. The other speakers will include students from the area who’ve been specially selected. Unfortunately, Michelle Obama will reportedly not be there, but the event will be live-streamed. 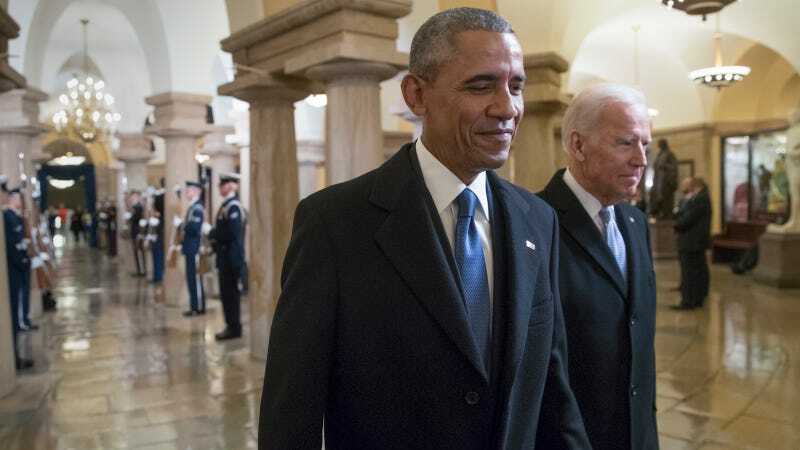 Even as he witnesses President Trump’s relentless and chaotic assault on his legacy, Mr. Obama remains stubbornly committed to the idea that there is only one president at a time. Those closest to him say the former president does not intend to confront Mr. Trump directly on immigration, health care, foreign policy or the environment during any of his events. Bye Bye, Vacation Obama. Hello, Disappointingly Diplomatic Obama.